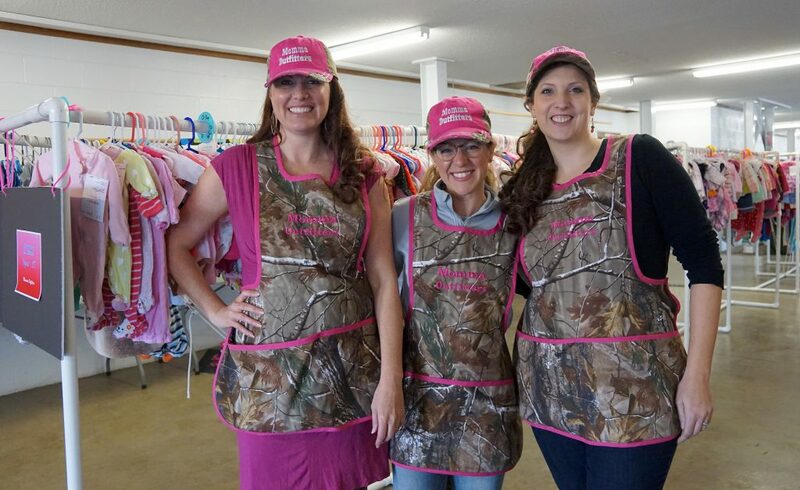 Momma Outfitters organizers, from left, Jessie Wenning,Rachel Fleming, and Amanda Rizzuto are excited about the response to the first-time event. 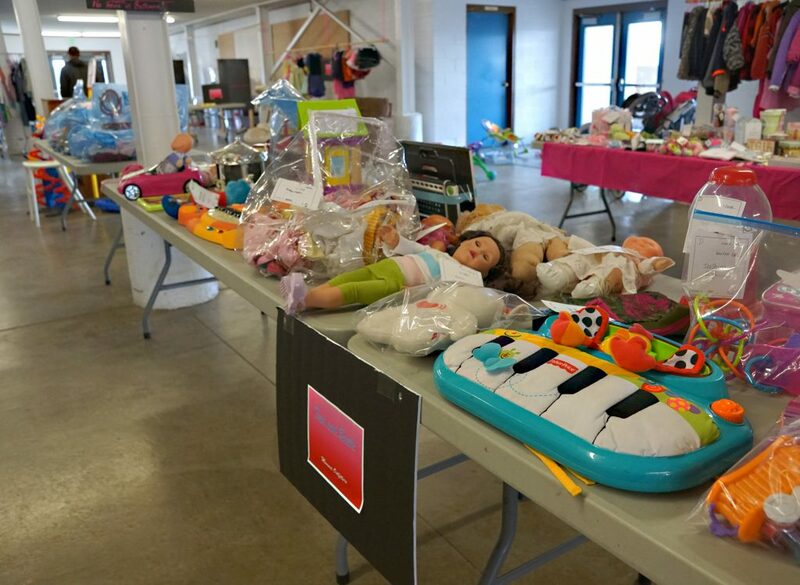 Check out time at the Momma Outfitters consignment sale saw laundry basket shopping carts unloaded and bags and boxes filled. Momma Outfitters check out chicks still smiling at the start of the second full-day of the sale. 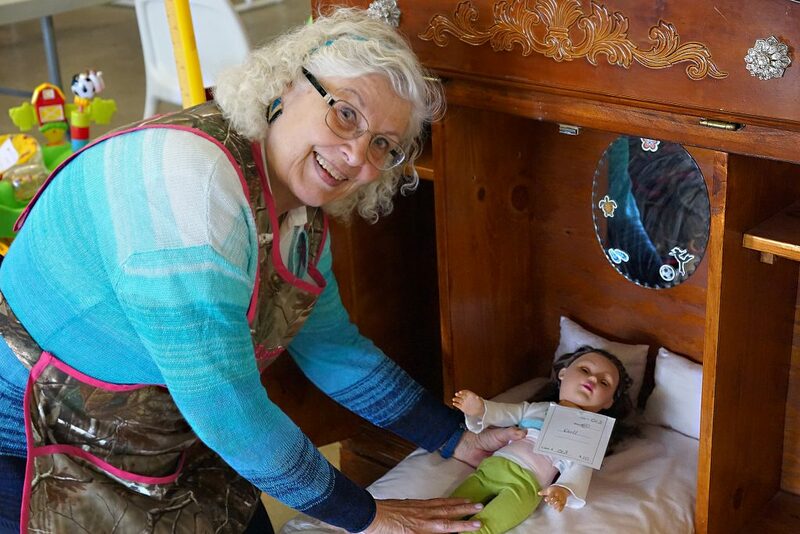 Victoria "Vicki" VanCouvering, Yampa Valley Pregnancy & Family Center director, demonstrates the custom doll bed made by a local father from a dresser, one of the many items at the Momma Outfitters consignment sale to benefit the center, sellers and families. 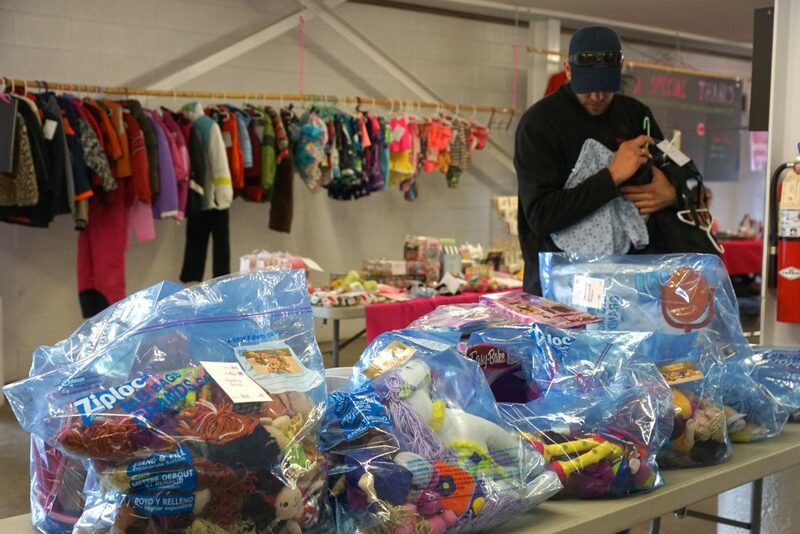 Louis Nijsten shops clothing and toys at the Momma Outfitters sale. Large, new or like new toys and clothing proved popular with many selling fast. Rachel Fleming, left, helps Erik Nijsten and his mother Rose Nijsten with their shopping. 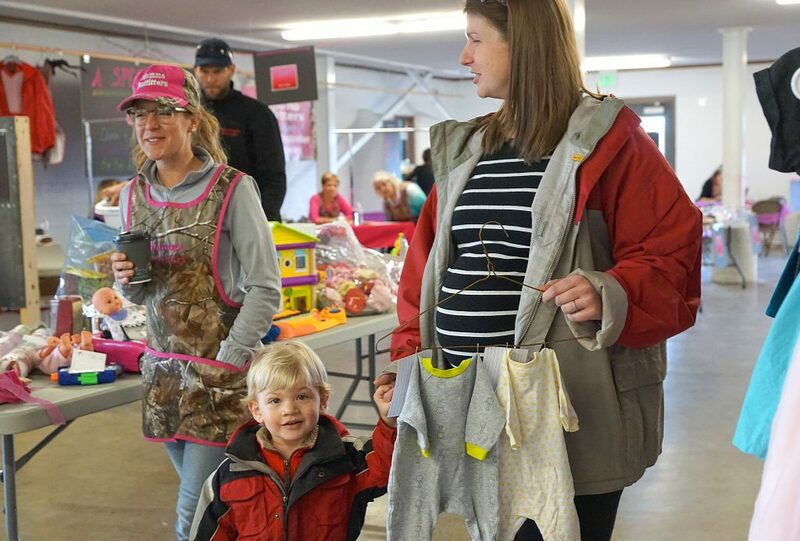 It was a sale that went so well it brought tears to the eyes of Victoria Van Couvering, director of the Yampa Valley Pregnancy & Family Center. 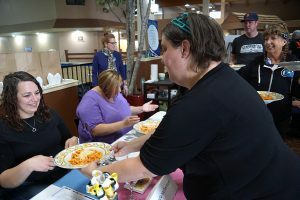 “When we did the count after the first day we learned we had raised the most money in a single day ever raised for the center,” said organizer Amanda Rizzuto. The result brought tears got Van Couvering quite emotional. “I’m speechless. 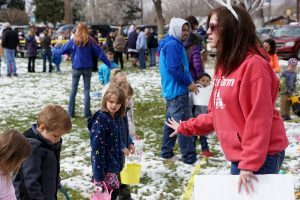 Not just because we’ve raised money for the center, but when I think of all that goes back to the community as a result, it’s wonderful,” she said. 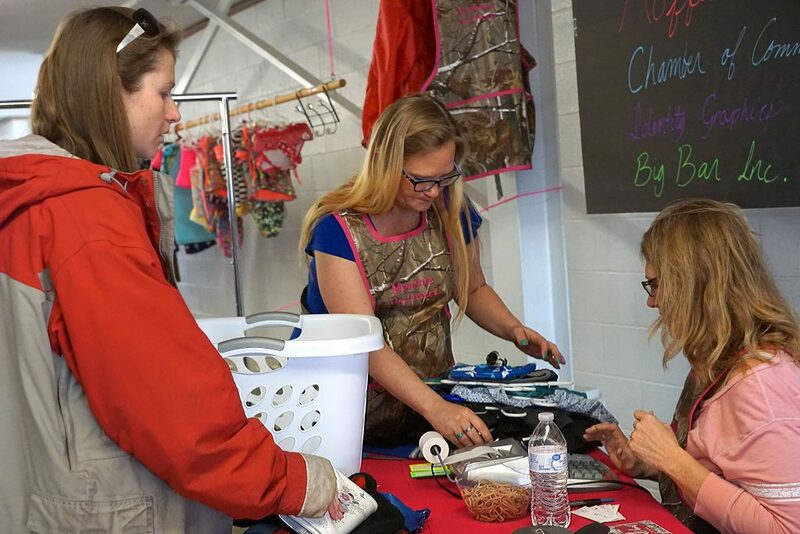 The sale was held in the space under the Moffat County Fairgrounds grandstands and offered families upscale, second-hand shopping, complete with concessions offered by the ladies of the Craig Christian Church. “We wanted to offer a whole shopping experience that allowed people to enjoy a cup of coffee or a treat,” Rizzuto said. The opportunity to buy a wide-range of necessities for children drew families like Rose and Louis Nijsten and their 2-year-old son Erik. When she learned about the event on a Facebook sale page she decided to bring her family to shop. Planning is already underway for a second sale slated for September, Van Couvering said. 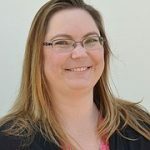 “I see this building over the next two or three years into something that will really rock Craig,” she said. She hopes to see more consigners participate, especially people with maternity and toddler-sized clothing. 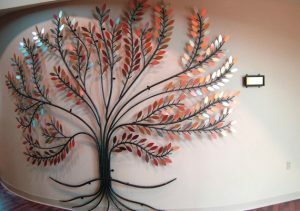 For more information about the Yampa Valley Pregnancy & Family Center visit the new website https://www.yvcenter4hope.org/. From left, Momma Outfitters organizers Jessie Wenning, Rachel Fleming, and Amanda Rizzuto are excited about the response to the first-time event. 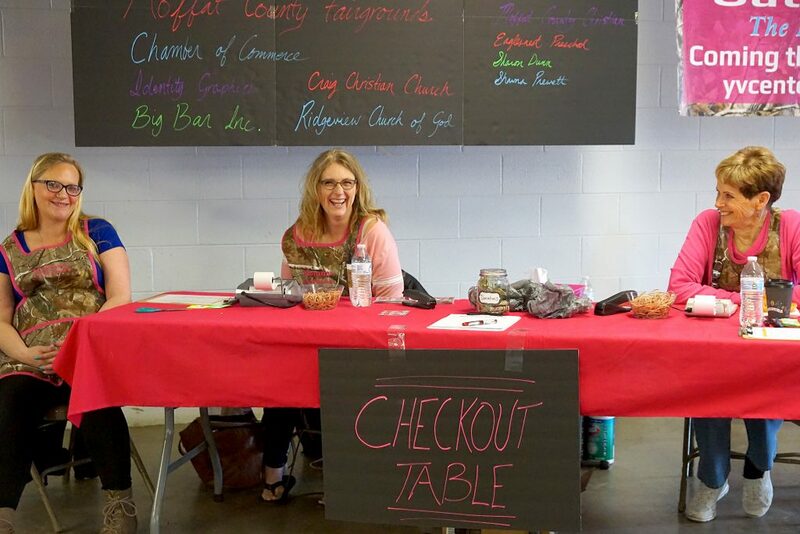 Momma Outfitters checkout chicks are still smiling at the start of the second full day of the sale. Large, new or like-new toys and clothing proved popular with many selling fast. Victoria “Vicki” Van Couvering, Yampa Valley Pregnancy & Family Center director, demonstrates the custom doll bed made by a local father from a dresser, one of the many items at the Momma Outfitters consignment sale to benefit the center, sellers and families.